Laura Goodfellow of Interface with Ronnie Murphy, Secretary of St Andrews Business Club. 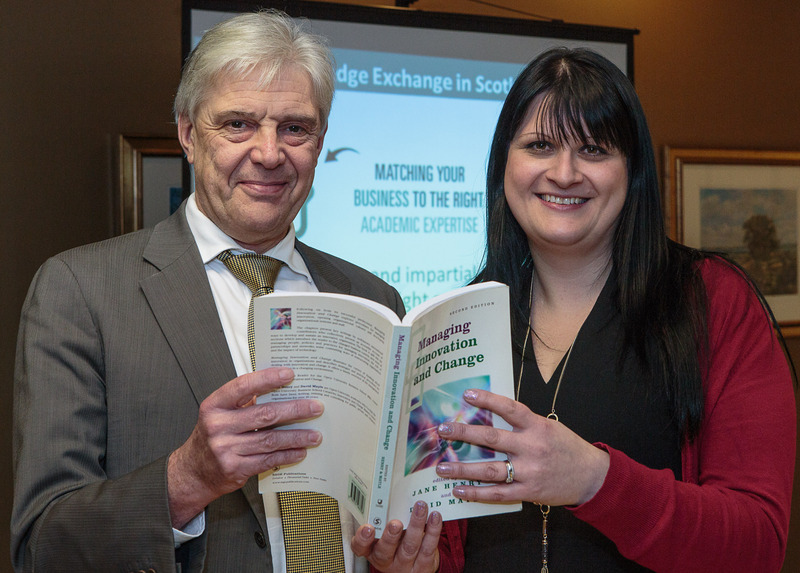 Members and guests of St Andrews Business Club heard how Interface can help businesses increase their profits by matching them up with Scottish academic institutions with the niche knowledge they require. Laura Goodfellow, Head of Business Engagement at Interface, the Scottish body which promotes innovative business-academic collaborations, told the audience at the club’s latest free early evening business issues seminar how companies can approach it to work with academia in order to develop new products, processes and services which lead to increased turnover, profits and productivity. Once they specify what they’re after, Interface communicates that to universities and collates the resulting offers of assistance before passing them on and monitoring progress. The seminar was the third in the series supported by Business Gateway Fife and is part of the drive by the club to increase its membership through allowing business owners, entrepreneurs and managers working in St Andrews to sample the benefits of membership before joining.